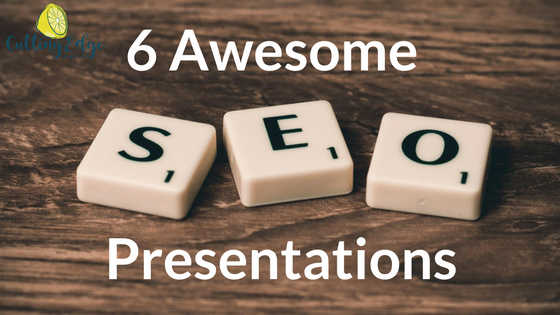 If you want to learn a bit more about SEO or want to follow some talented and knowledgeable SEO experts, I’ve collated a selection of excellent digital marketing presentations for you to check out. Featuring some of my favourite SEO and digital marketing experts, including Kate Toon, Dan Petrovic, Rand Fishkin, Dr Pete and James Norquay, you can find out what’s happening in the world of online marketing and sharpen up your SEO skills. The fabulous Kate Toon created this presentation back in 2015 but it’s still relevant today – amazing in the world of digital marketing where things change every few weeks it seems! With Google moving to provide answers for users without having to even click on a search result, Dr Pete from Moz shares some handy tips to be the answer in the search results. If you’re stuck for content marketing ideas, this presentation by James Norquay from Prosperity Media is sure to give you some inspiration. Want to know more about SEO and its history? Check out this great presentation from HubSpot. Australia’s SEO guru from Dejan SEO presented this great slide deck earlier this year on Creative SEO. Where is SEO headed in 2017? Rand Fishkin from Moz has the answer for you in his recent presentation. What are your favourite SEO presentations? Leave the link in the comments below!